If Apple’s naming scheme was starting to bother you (with iOS, tvOS and watchOS working under different naming rules from OS X), fret no more. As the company announced today, OS X is getting a new name that brings order to Apple’s nomenclature. Behold the new name of OS X: macOS. And because this is a new version of OS X/macOS, too — and Apple decided to stick with its California names — this new version’s full name is macOS Sierra. As expected, this new version of macOS will finally bring support for Siri to the desktop. To bring up Siri, which is getting its own improvements today, too, all you have to do is say “hey Siri,” and Apple’s modestly useful AI assistant will be at your beck and call. Siri will be able to help you find files on your Mac and send messages, and because it works in the background, it’ll also help you perform tasks while you are using other apps in full-screen mode, Apple says. 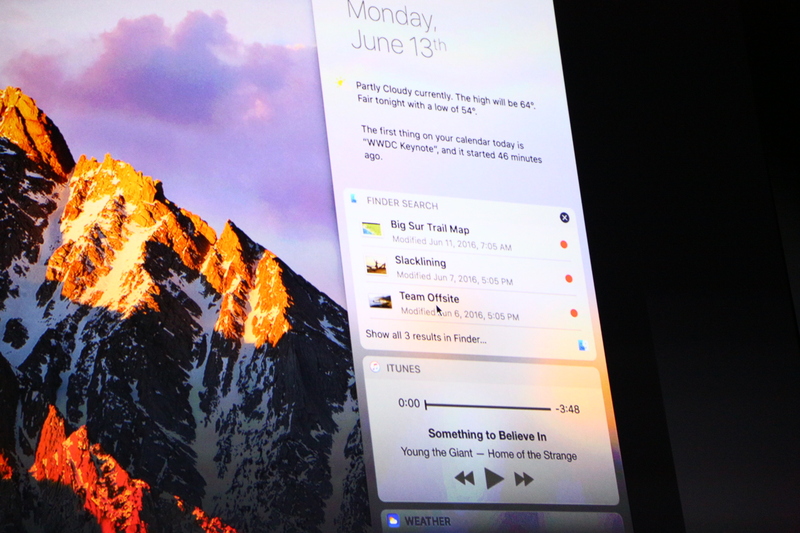 Also new is what Apple calls the universal clipboard. This gives users access to a single clipboard that works across iOS and macOS. In addition, Apple is adding improved support for iCloud Drive, which can now make files more easily available across devices. With this update, Apple now also allows you to easily move older files to the cloud in order to free up space on your local machines. In addition, if you use multiple macOS machines, Apple will now sync your desktops between them, too. 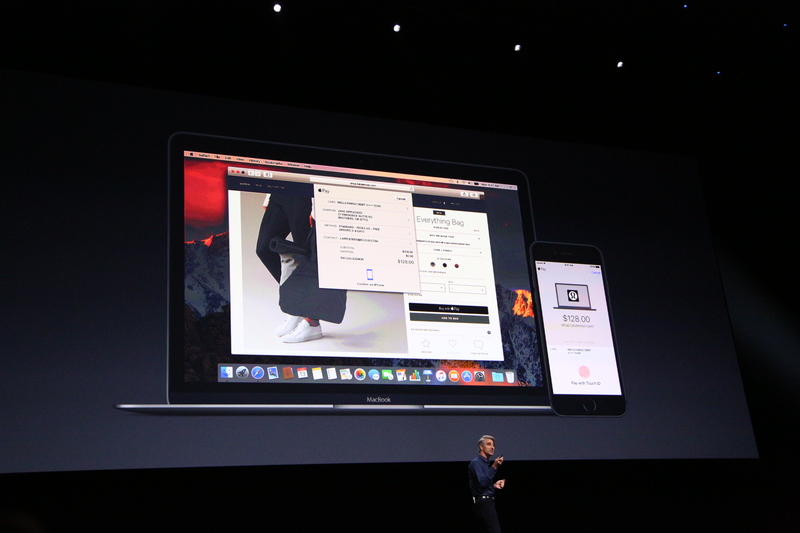 Other new features include support for Apple Pay in the browser. 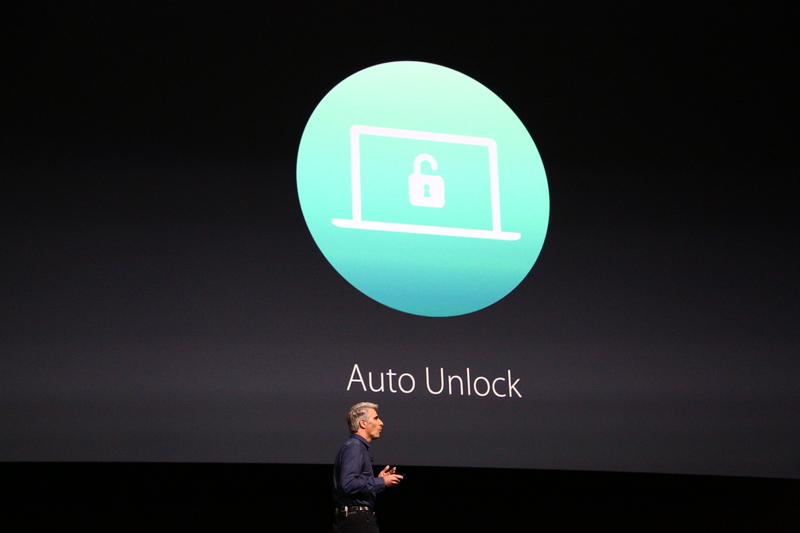 To authenticate, you will be able to use TouchID on your iPhone. Among the minor, but useful features the company announced today is also the addition of Safari-like tabs to virtually every app on macOS. The update is coming to beta users in July and will be available as a free upgrade to all OS X/macOS users in the fall.